Thanks to everyone who bought a Run Geordie Run Around The World t-shirt or hoodie. I'm pleased to report that all stock allocated for online sales are now all sold out. Thanks to the printer producing more many items than originally asked for, there are a few XXL t-shirts and a very small number of M, L and XL hoodies left. Please email sponsorship@rungeordierun.com if you would like one. £2643 has been raised so far from sales with £360 worth of stock left. We are looking good to break through the £3000 barrier for t-shirt and hoodie sales. Thanks to SOS Group Ltd for paying for production costs, all proceeds go to The Sir Bobby Robson Foundation and The Children's Foundation. That's every single penny! 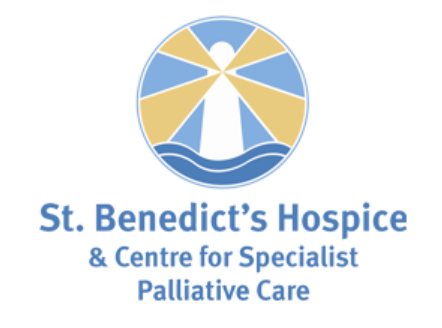 The snazzy design was produced by Dave Shenton of Shenton Creative who gave his services free of charge. Without the very best support team, the run Around The World and in particular the European segment will be very difficult to complete. With that in mind I was pleased to add another quality person, James Childs (pictured below), to the team that will see me safely across Europe during the Summer of 2016. 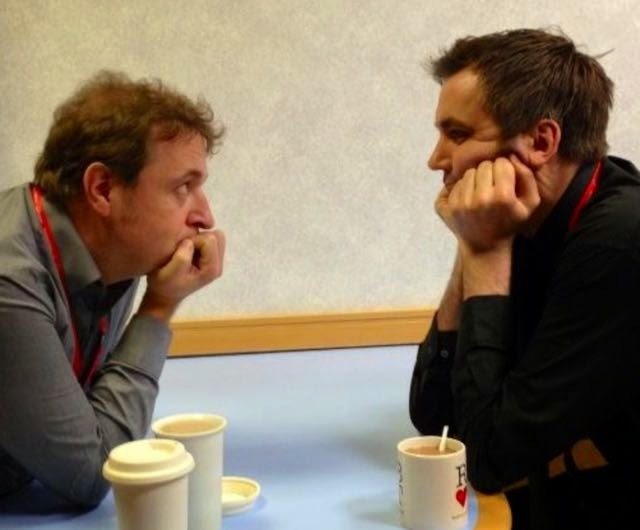 Just like, Carlton and Colin, James is one of my colleagues at Virgin Money. I've worked with him for a number of years and we have the advantage of being able to hit the ground running in terms of familiarity and camaraderie. James, as with the others on the team, has a strong work ethic, has that much needed sense of humour and is very conscientious. He has considerable experience of driving in Europe and, like myself, has a keen interest in maps and navigation. James Said "The story of Run Geordie Run is a compelling one. It is one which pulls you in and connects with your own similar life experiences. I am surrounded by close relatives and friends who have fought against illness, not always with a good outcome. The two charities supported by Run Geordie Run do some incredible work helping people fight illness. 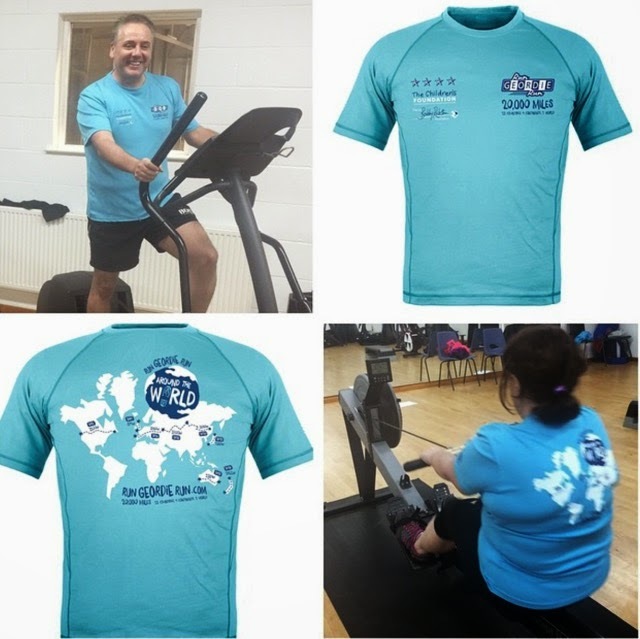 I cannot begin to contemplate the physical demands of running around the world - what I can do is support Run Geordie Run on his unbelievable journey in any way I can (including emptying his toilet!).". Regular readers will know that James joins Carlton, Jason and Colin as confirmed support team members. There really isn't a weakness there. It's a strong foundation of support and the search continues to add equally willing and able volunteers to the team. Watch this space in the coming months for further support team news. Recruitment for the European segment support team continued this week with the acquisition of another quality person. Regular readers will be aware that the support team already consists of Carlton Fletcher (previously on the USA and Australia support team) and Jason Stobbs (previously on the Australia support team). Added to the current line up of experience this week was Colin Hillier (pictured below on the right), who, together with Carlton (pictured below on the left), is of my colleagues at Virgin Money. Colin had hoped to be on the Australia support team but with a baby on the way that just wasn’t possible. 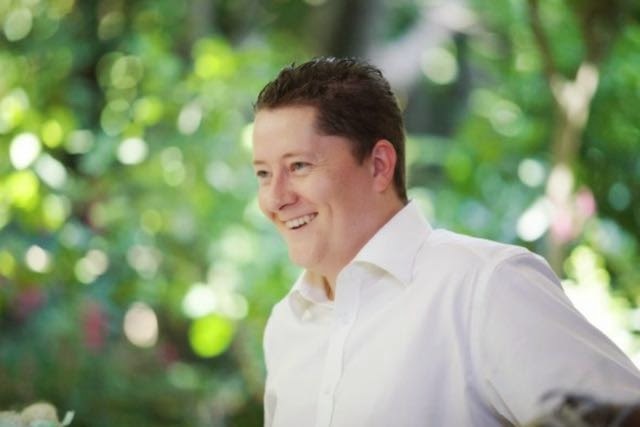 Colin brings a strong work ethic, an attention to detail and a wicked sense of humour to the team. These are all attributes that are an absolute must for anyone hoping to have a successful tour of duty on the support team. It's a very difficult job (so I've been told). Making sure the RV is running at maximum efficiency, cooking, cleaning, getting supplies, washing kit, drying kit, keeping me motivated and entertained, looking for safe places to stop during the day and stay overnight, logging mileage, monitoring how much mileage each pair of trainers has done, dumping the waste from the RV, filling the RV's water systems (even when there is no obvious supply such as in the outback), taking photos, spreading the word to any passers by or locals cover about 10% of the support team's duties. It's a full time job that requires maximum commitment and a realisation that nothing else matters other than a successful outcome for the runner and the 2 charities. I've said it many times that, while the brand Run Geordie Run implies that there is only one man who makes the run a success, it could not be further from the truth. The support team are the unsung heroes of the run Around The World. Unpaid volunteers giving up their spare time on foreign shores with the hope that they are making a difference to the community of the North East of England. And oh what a difference they have made, with almost a 1/4 million pounds raised so far for local good causes. Having Colin, Carlton (pictured below right) and Jason (pictured below left) on support duty on the European segment means that, so far, the team is a very strong one. Speaking from experience, there really isn't a weak link there at all. These are guys that I have worked with before, trust 100% and am confident that we'll continue to work well together. Not forgetting, of course, my wife Donna (pictured below). We are both currently working very hard behind the scenes to make the next segment a successful one. After a traumatic solo 5 weeks on the team in Australia, I'm sure she will sign up again for a tour of duty. That decision is going to take months of doing dishes, cooking and washing clothes on my part however! In other words, I'm working on her. It feels like payback for the time she spent in the RV at 38 celsius surrounded by thousands of flies! I hope to add more people to the team over the coming weeks. They must be of the same quality as those on the team already. It's not going to be easy to find the right people but I hope to share further support team news soon. My search for a suitable start point on the European segment of the run Around The World came to a successful conclusion this week. Like the previous runs across the USA and Australia, I looked for somewhere that would allow the start to be in an ocean. This, of course, means that my runs can be truly classified, beyond any doubt, as “coast to coast”. I intend to find a corresponding end point in Shanghai, some 10,000 plus miles later, in due course. Meanwhile, back to the start point in Portugal, which I’m very pleased to announce is Guincho Beach (pictured below). Guincho Beach, situated 20 miles west of Lisbon is popular with tourists and is regarded as one of the best windsurfing locations in Europe. It was used as a location in the James Bond movie “On her Majesty’s Secret Service” where Contessa Teresa di Vicenzo (played by Diana Rigg) is rescued by James Bond (played by George Lazenby). 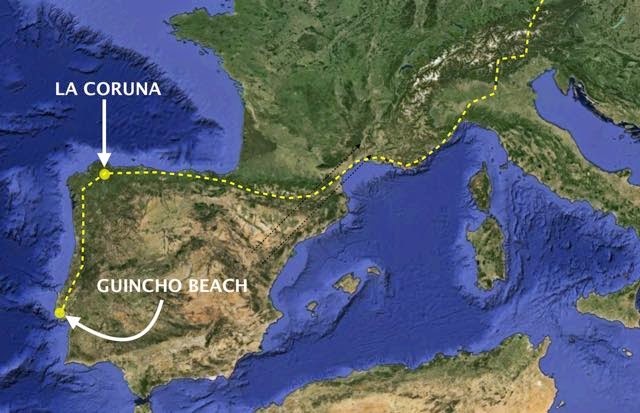 From Guincho Beach, I'll be running due north before crossing into Spain and hitting the first Antipodal point in La Coruna some 430 miles later. I'll talk more about the subsequent route east in the coming weeks. It is important to remember that La Coruna, Spain is the exact opposite (antipodal) point on the planet to Christchurch, New Zealand. Regular readers of this blog will remember that running through those 2 opposite points of the planet and running over 18,000 miles are part of the Guinness World Record criteria that I'm following. I don't think I'll be setting any records, of course! 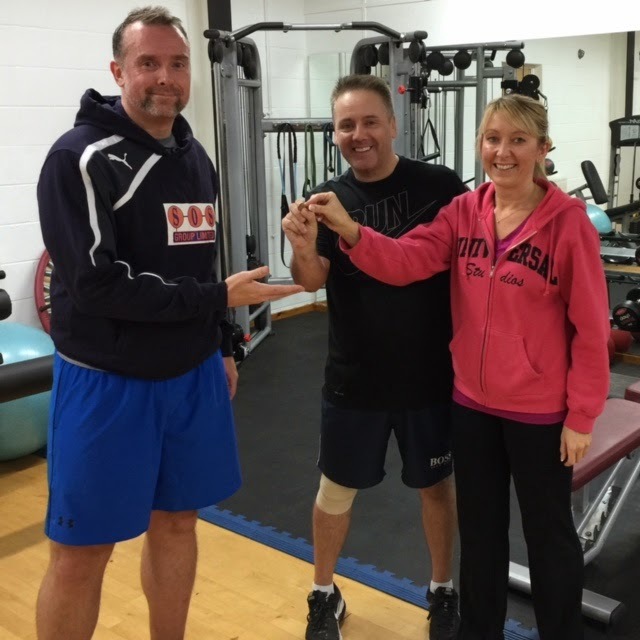 I got a nice surprise tonight when 2 people I train with at David Fairlamb's gym, Neil and Karen, offered a very kind donation for the run Around The World. This was no ordinary donation as it was 10p per mile! That's 10p for each of the 20,000 miles of the run Around The World. That is very generous of them and words just can't express my gratitude. Neil and Karen are pictured below handing over the 1st 10p to me. Since the announcement of the run Around The World, the last 12 days have proven to me that there are still a lot of generous people out there. The t-shirts have sold out. There are just a small number of hoodies left and the fund has now burst through the £5,000 barrier for the European segment. The overall total is inching nicely towards a key milestone of £220,000. What a great start to this fundraising campaign. Thank you to everyone who has made this happen. I've been asked a lot of questions on my Twitter and Facebook feeds this week. I've tried to answer as many as I can in this blog post. Kathryn Clark - When your body starts to tell you to rest when you can't, what keeps you going? This is an excellent question and I found myself in this position so many times in the UK, USA and, moreso, in Australia. It would take a long time over a series of blog posts to answer fully. I'll keep it as short as possible. Suffice to say, that I have many things in my armoury to help keep me going. The support and encouragement on social media is a huge help and, if used sparingly and well timed, can become the proverbial "twelfth man". Due to the lack mobile signal in the outback, I didn't always have direct access to this. During the run across Australia, my wife Donna did a great job, summarising tweets and sending them in a text message to my satellite phone. The tried and tested method "to keep me going" is to remind myself of exactly why I am running and the charities that benefit from the efforts. Like social media, this method is to be used sparingly. Too much dwelling on thoughts of lost loved ones can often lead to very dark moments though. This caused all kinds of mental problems during the latter stages in Australia. I'm slowly learning that a balance needs to be found. I've found that sending the support team 20 - 30 miles ahead, for example, to meet me for fresh supplies helps to keep going. With this method, I've literally got no choice but to keep going! 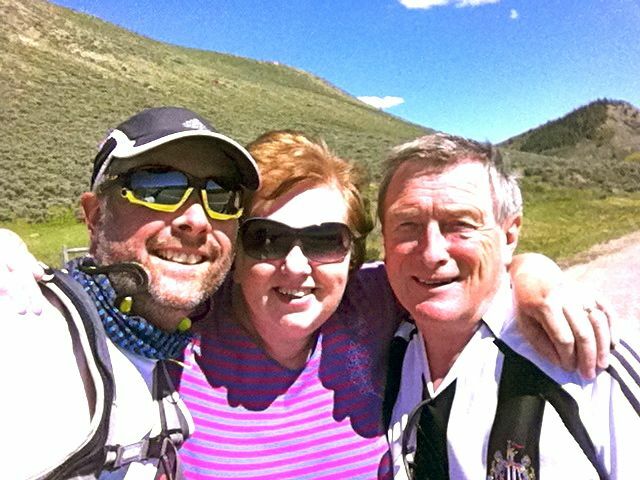 Having someone turn up unexpectedly on the route (such as Dave and Lesley Greaves pictured with me below in Colorado, USA) or a fundraising landmark being met often produces the best results. Any pain that I've experienced through running can often be masked or extra energy found in this situation. I remember when the fund hit £50,000 in both the run across the USA and Australia. The effect that it had on my, both physically and mentally, was astounding. Finally, the most basic method of keeping going is one used when mentally and physically it would appear that I have nothing left to give. Aiming for the next tree, road sign or white line on the road helps. Once that small target is achieved then another one is chosen. Before you know it you have managed another mile. Start all over again and the miles soon start racking up and the focus on concentrating on taking these small steps soon overrides the focus that was previously being used on the pain or lack of energy. Andrew Duffy - Which country are you most looking forward to running through? Which country do you currently feel will pose the greatest challenge? These are excellent questions that, again, would take a long time to answer fully. Each of the 24 countries on the Around The World route present their own individual challenges. I think wherever the greatest physical, mental and logistical challenge lies, that is where I'm most looking forward to running. I chose a difficult route through across the USA but really enjoyed running through the Mojave Desert and up to 11,300 ft in the Rocky Mountains. 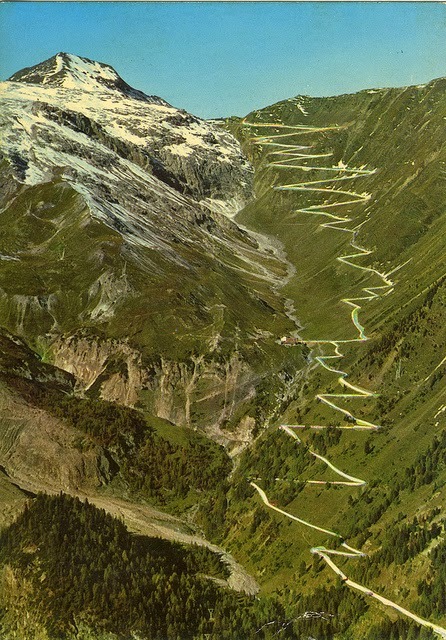 I think, therefore, that the climbs through the mountains in Spain, France, Andorra, Italy (Stelvio Pass pictured below), Switzerland, Austria, Bulgaria and Serbia are going to make the European segment of the run Around The World pretty special. With all of that said, it is going into the unknown where it is seemingly impossible to run and support that appeals to me. I think those ingredients are going to make for a fascinating journey that people are going to enjoy following. Therefore, to answer your question, China is the country I'm most looking forward to running through. Andrew Duffy - If you could have anyone living/fictional/dead running alongside you, who would it be? In fact, one of each please! I'm going to answer this now and give it some further thought when I resume the run Around The World. For now, though, the living person I'd like to run with is the Scottish around the world record breaking cyclist and adventurer Mark Beaumont. I've been lucky enough to meet Mark on a couple of occasions and have always found his endeavours hugely inspirational. What a perfect running partner! In terms of a fictional runner, it has to be Rocky Balboa. I grew up with those movies and the soundtrack on my iPod has got me through some tough times. I can see myself running through the mountains in Georgia. A person who is sadly no longer with us who I'd like to run alongside me is my Dad. He died when I was just 17. He taught me a lot of important life lessons and I'm sure he would be inspirational by my side running around the world. Stephen Matthewson - What would your epitaph be? This is another question I'm going to think about during the run Around The World. In the meantime, I'd take a line from Forrest Gump and say "That's all I have to say about that". 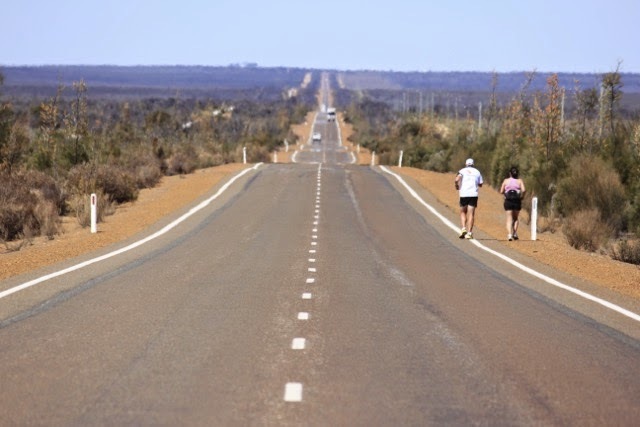 Melanie Moore - Your feet/blisters were really pretty horrific going across Australia. Is there a way of being able to prevent or lessen the seemingly inevitable in advance by toughening your feet somehow? Will there be a change of choice in socks/footwear for this next run? Or will Carlton be honing his delicate hand washing skills in preparation for daily soft socks, rather than the crusty ones you had to endure in Oz? Blisters will be inevitable at various stages during the rest of the run Around The World. I'm going to be working with Alison Meldrum at the Cradlewell Clinic on this. We will be looking at what preventative measure can be taken. Alison is also going to train the support team so that they can apply simple treatment at various stages of injury to my feet. I'm going to try out various brands of dual layer socks before the run Around The World resumes. I didn't have enough pairs of socks in Australia and washing used pairs was difficult without the necessary facilities. That's another lesson to be learned. 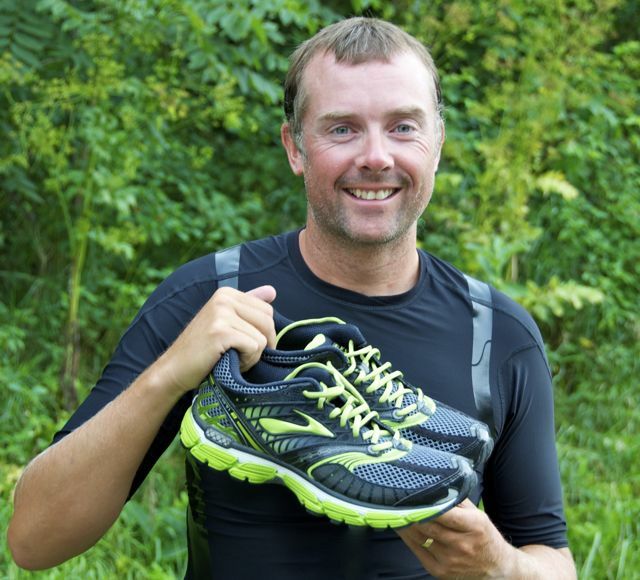 I will be wearing Brooks Glycerin running shoes again (pictured below with me in the USA) as they are perfect for my running style and very comfortable. I hope that all of the above sees fewer blisters and less pain all around in future. Fiona Stanley - When you ran across the Nullarbor I was worried about how incredibly strenuous it must be mentally. The physical pain must affect how you cope. How will you cope with it this time round. I must draw upon those difficult times in Australia and use that to my advantage somehow. I think having a bigger support team will help. Being on the team is a tough job and more people will make for a slicker operation all round. I'm sure that seeing less flies than in Australia will be a massive help too. Having to wear a fly net for 10 - 12 hours a day for 82 days really got me down. Seeing the same trees and bushes, like those pictured below, for 2000+ miles and not getting the feeling of making progress was tough. I think the rest of the route Around The World will give me plenty to occupy my mind; changes of scenery, new languages to use and all of the logistical issues that the support team and I will be faced with. If I can lessen the pain in my feet (see the previous answer) then that will obviously help. Experience tells me that I will grow physically stronger as the run progresses. As well as that, I'm confident of starting the next segment of the run Around The World lighter and leaner than any previous segment. I'm working with personal trainer on David Fairlamb on this. In the first 8 weeks of training I have lost 23.5 pounds of fat! That weight loss, together with a new way of eating, is unprecedented for me. Put all of those things above together and you can start to see how I stand a much better chance of succeeding on the remainder of the route Around The World. Kirstie Cunliffe - Are you going to have any down time between each leg or will you start training for the next run as soon as you've finished the previous one? As with previous segments, it would be foolish to stop training altogether upon completion. I think a "wind down/recovery phase" followed by a "maintenance phase" then a "ramp up phase" just in time for the next segment will be used. Michael Gallon - Are you using an RV for accommodation again - if so are places readily available to stop - deal with water and drainage etc? Are roads suitable for RV? I think that will be the case in some or all of Europe. There is a chance that the route through Georgia, Russia, Kazakhstan and most of China will be unsupported. Mark Richardson - Is the plan to have some sort of support team that can speak the language at different legs? If not, how do you overcome the language barrier or are you assuming everyone speaks Geordie? This is something that I've just started to think about. I don't anticipate that the support team or myself will be blessed with anything other than the basic hello/goodbye etc. We will have a list of standard phrases in 20 of the languages that will encounter on the run Around The World. "I am running around the world", "Where is the nearest toilet?" and "Where can we buy water?" are 3 phrases that immediately spring to mind. In terms of trying to explain to, say, a police officer who may stop me or the team on the route, then if they don't speak English I will have a leaflet in various languages explaining what I'm doing and why. 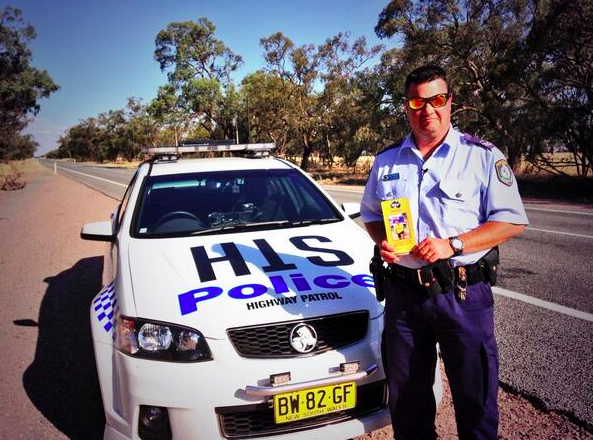 Pictured below is Senior Police Constable Mick with one of my leaflets on day 64 on the run across Australia. Hopefully, a combination of best attempts at speaking the language, a list of standard phrases and the multi-lingual version of the information leaflets will be sufficient. If, however, I manage to recruit a 5 language speaking expert cooker of porridge who can drive an RV then that will be a bonus.